It was not a night for minimalism. 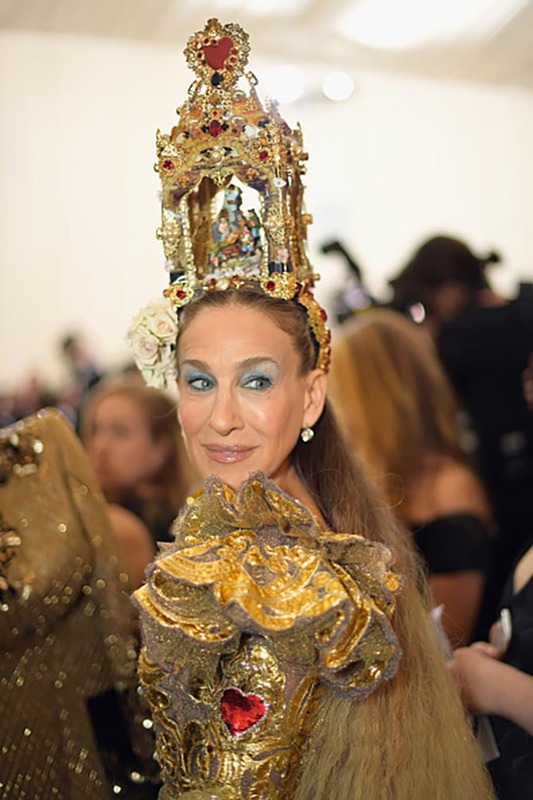 The theme for the MET Gala, Heavenly Bodies: Fashion & The Catholic Imagination, inspired some over the top outfits. Several made the event seem more like a costume party than a regular red carpet. Rihanna sported a pope hat. Zendaya dressed as Joan of Arc. 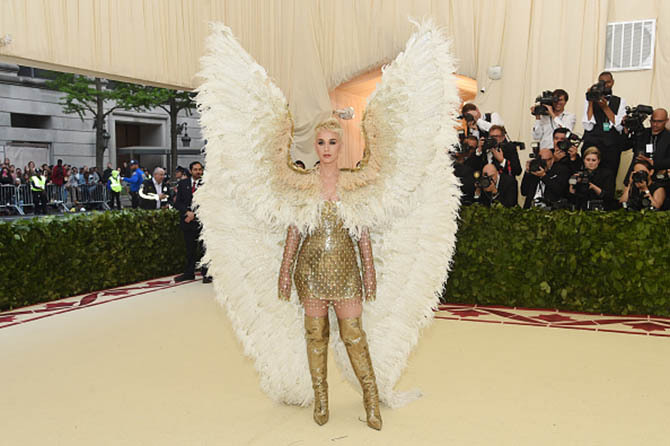 Katy Perry became an angel with 6-foot tall wings. I was expecting to see tiaras this month, but not until the royal wedding. Lots of women wore them and other hair ornaments. There were, as you might imagine, crucifixes galore. 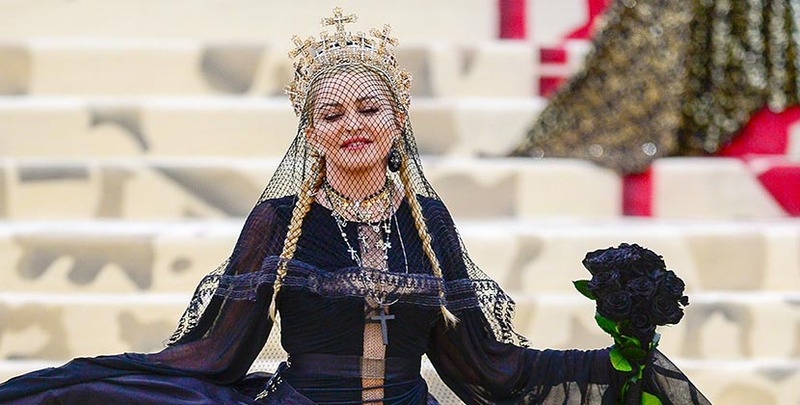 Madonna has never worn more at once and, well, that’s saying something. 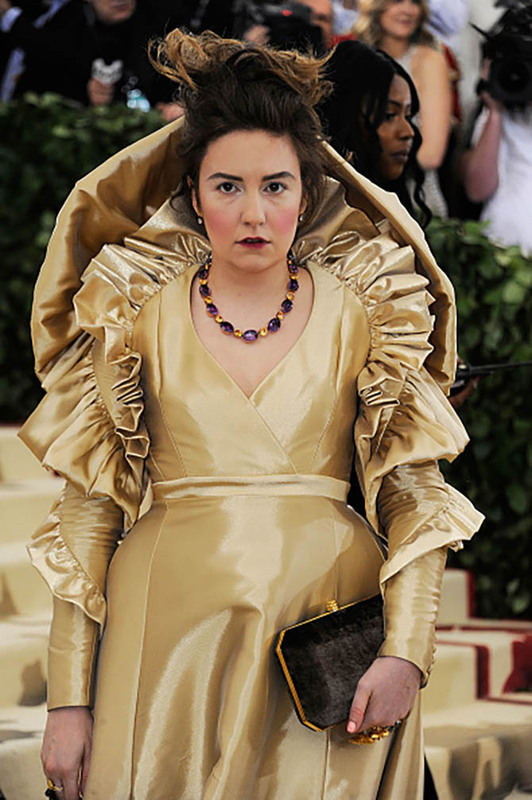 Many of the wildly creative looks were more bejeweled than jewelry but I couldn’t resist including the splendor along with all the real treasures. Scroll down to see the amazing red carpet. 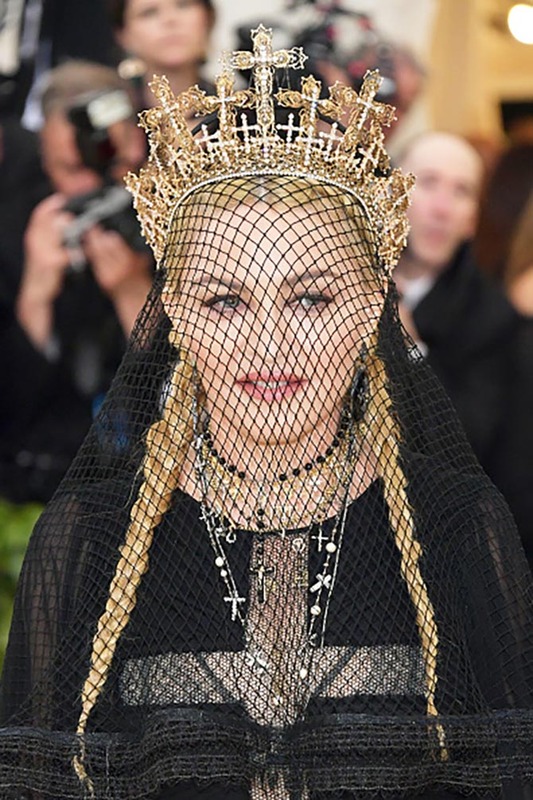 Madonna layered loads of jewels with her black Gaultier Paris Haute Couture gown and veil including a Rinaldy Yunardi crown and necklace and other pieces by Jennifer Fisher, Lana Jewelry, Narcisa Pheres, Pascale Monvoisin and Catherine Angiel. 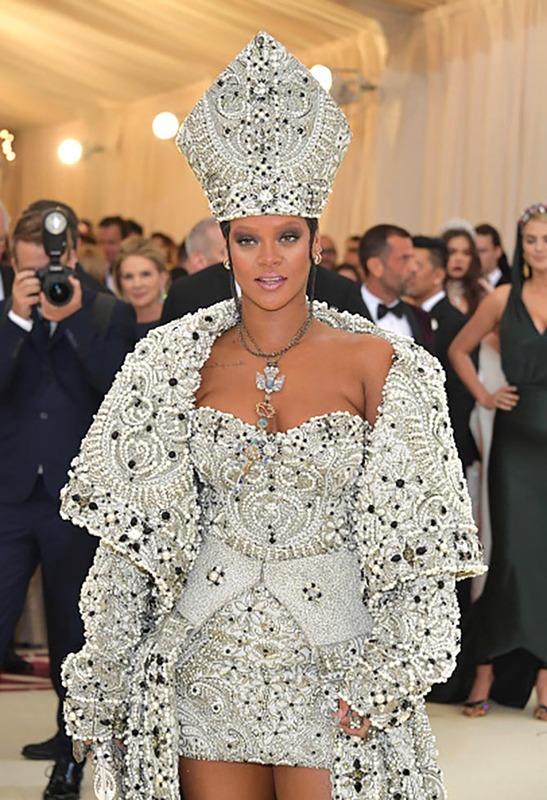 Rihanna added more shine to her Maison Margiela ensemble with a vintage Cartier necklace including a crucifix made around 1934 and a Dove of the Holy Spirit made around 1949. 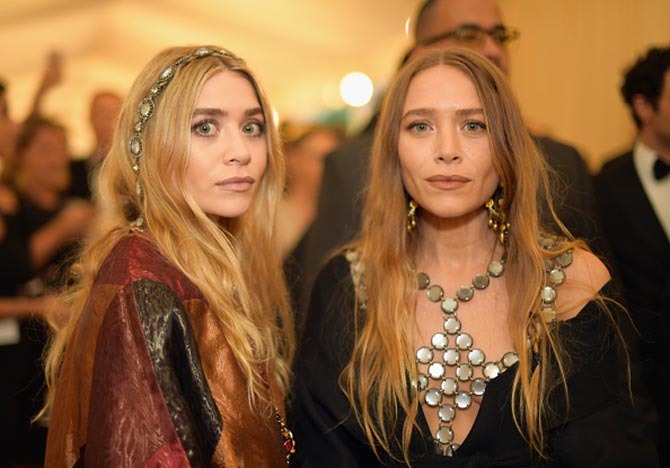 She also sported rings from Gilan and Narcisa Pheres as well as Maria Tash earrings. Zendaya dressed like a modern-day Joan of Arc in a chainmail-like, gunmetal colored Versace gown. 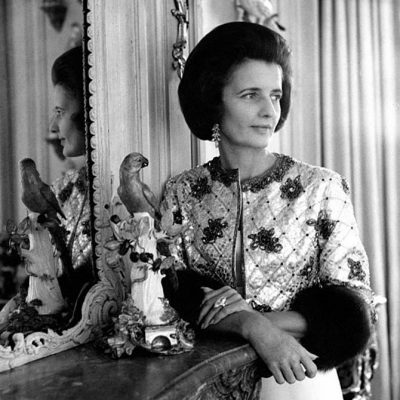 She accessorized the dress with rings from Tiffany’s newest collection Paper Flowers collection, a diamond ball pendant and Tiffany HardWear earrings and HardWear rings. Sarah Jessica wore a Dolce & Gabbana Alta Moda gown and custom earrings and rings by Jennifer Fisher. 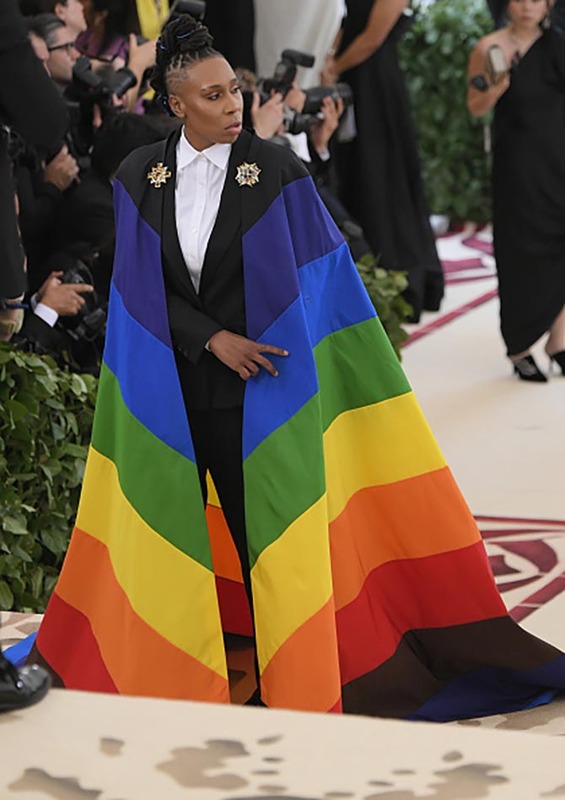 Lena Waithe held down her custom made Carolina Herrera Pride cape with a gold and gem-set Byzantine brooches from Verdura. Jennifer Lopez complemented her Balmain gown with Tiffany Schlumberger earrings. 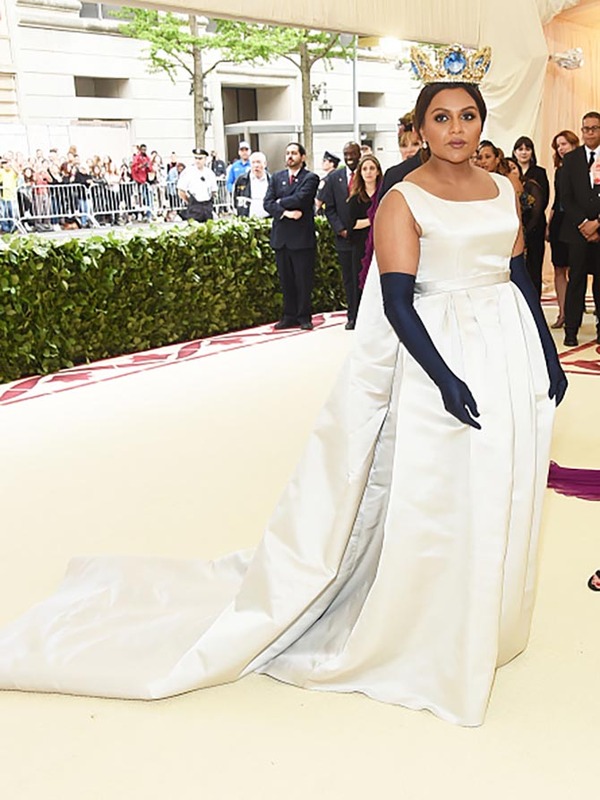 Mindy Kaling dressed like a princess in a Vassilis Zoulias gown, a Pericles Kondylatos crown and Fred Leighton earrings. Blake Lively put on Lorraine Schwartz jewelry with her custom Versace dress. Priyanka Chopra had on delicate Cartier rings with her custom “bejeweled” Ralph Lauren gown. Lily Collins looked like a painting in Cartier earrings, a Clare Waight Keller crown and a Givenchy gown. 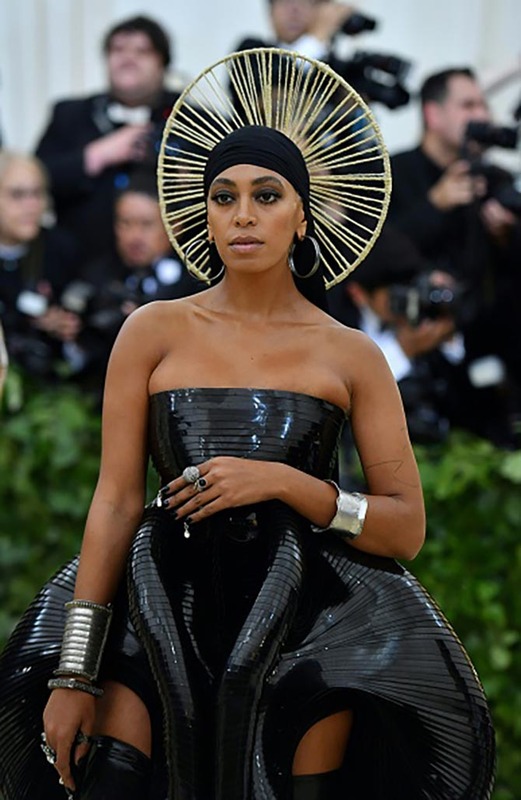 Solange paired a futurist Iris van Herpen dress with jewelry from Ofira. 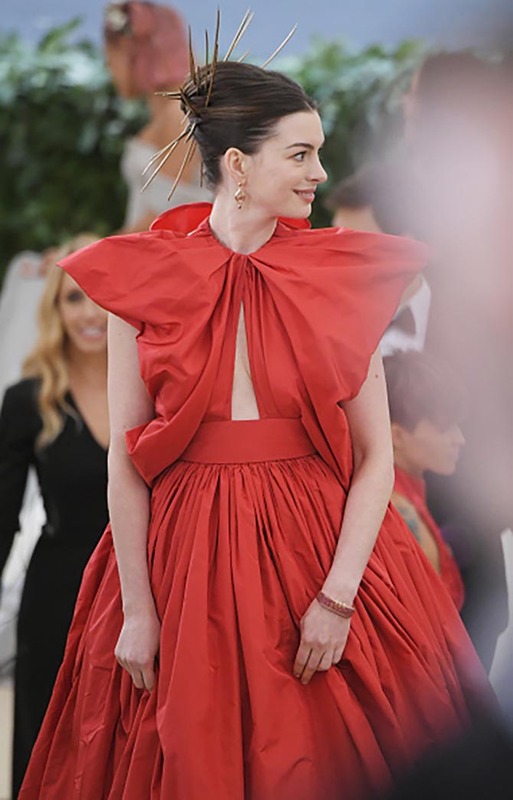 Anne Hathaway wore James Banks earrings and The Code ruby bracelet with a custom Valentino gown. 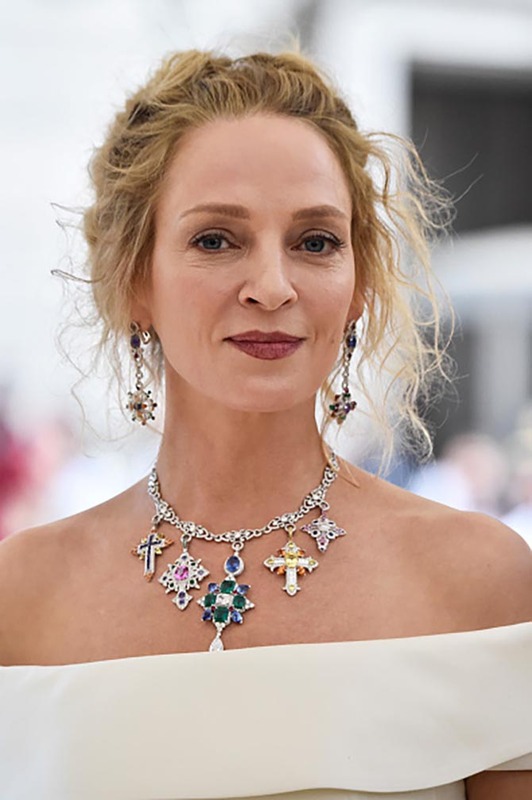 Uma Thurman paired a colorful Giampiero Bodino necklaces of crosses with a Gabriela Hearst dress. Sienna Miller wore diamond two tiaras and a necklaces from Fred Leighton with her Louis Vuitton gown. Zoe Kravitz looked radiant in 100-carat pear shape Morganite and diamond earrings from Jacob & Co and a Saint Laurent dress. 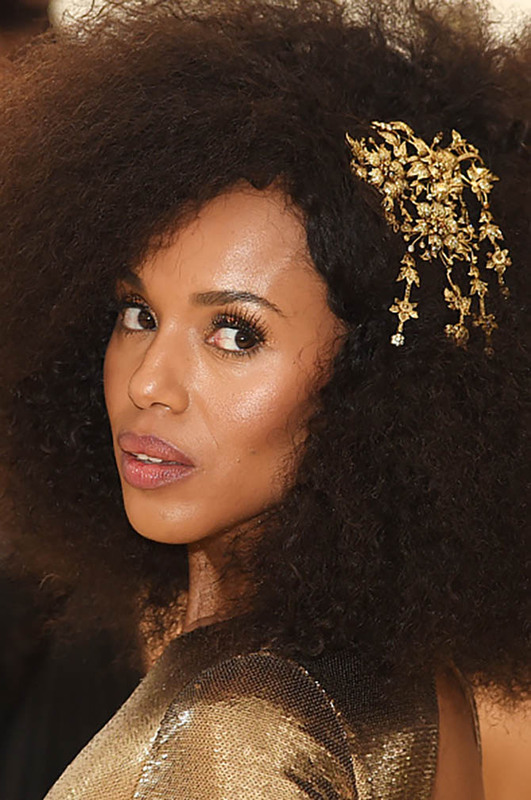 Kerry Washington matched her Ralph Lauren gown with a bronzed gold headpiece by Lorraine Schwartz. 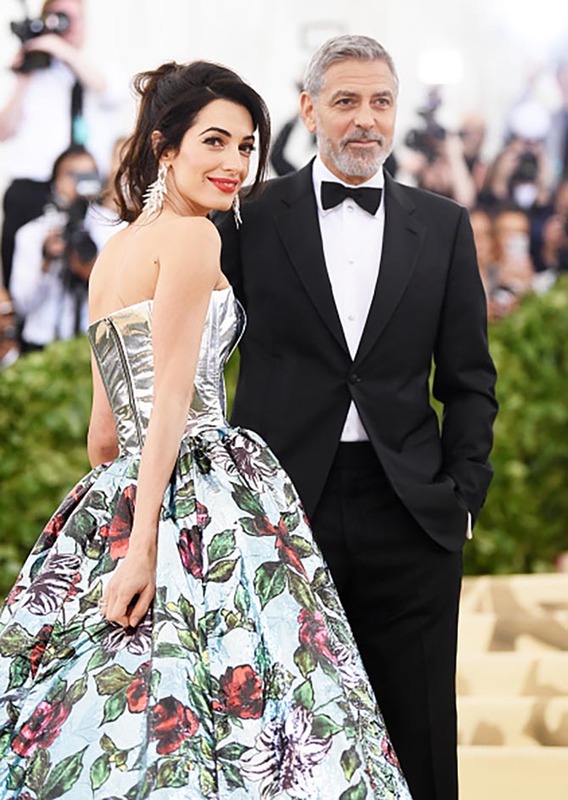 George Clooney with Amal Clooney who is wearing diamond earrings by Lorraine Schwartz and a Richard Quinn gown. Laura Dern put on a rare necklace by the artist Alexander Calder from Stephen Russell with her Proenza Schouler gown. Olivia Munn wore a gold mesh H & M gown and Ofira rings. Alicia Vikander wore several black enamel and diamond earrings from designer Nikos Koulis with her Louis Vuitton gown. 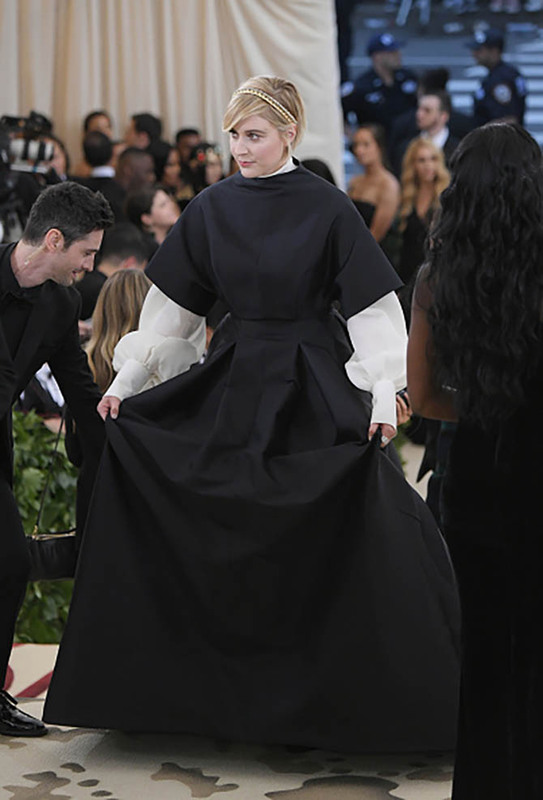 Greta Gerwig’s custom gown from The Row was lit up with Tiffany jewels. Selena Gomez added sparkle to her Coach dress with a diamond cross and platinum and diamond earrings from Tiffany. Diane Kruger wore a dramatic head piece by Philip Treacy with Tasaki jewelry and a custom Prabal Gurung gown. Kendall Jenner sparkled in diamond earrings from Tiffany’s new Paper Flowers collection and a pantsuit from Off-White. 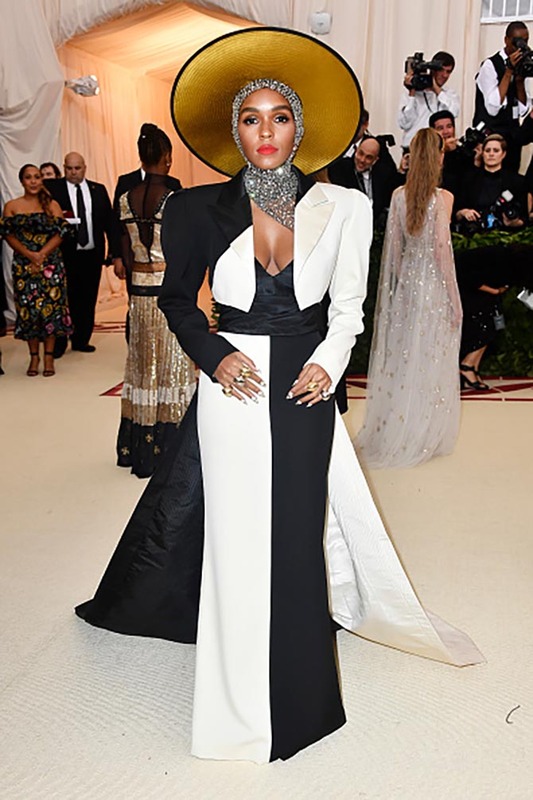 Janelle Monae wore a layers of Jennifer Fisher rings with her Marc Jacobs black and white gown. Kate Moss paired vintage chandelier earrings with a Saint Laurent dress. Tom Brady with Gisele Bundchen who is wearing a Versace dress and earrings by SABBA. Lily Aldridge contrasted the yellow of her Ralph Lauren dress with three emerald and diamond Bulgari necklaces. Amber Heard wore a dress by Carolina Herrera and layers of jewels including a Victorian Etruscan Revival earring from Beladora and studs from Jennifer Meyer . Cindy Crawford matched her fire engine red Versace dress with 45-carat rubelite and diamond earrings from Jacob & Co.
Lena Dunham paired a Stephen Russell necklace with a gold gown from Ronald van der Kemp. Kate Uptown wore long gold vintage pendant earrings from Stephen Russell with a Zac Posen gown and bejeweled headpiece. Hailee Steinfeld wore a tiara and pearl necklace with her custom Prabal Gurung gown. Kim Kardashian layered crosses from Lorraine Schwartz with her Versace dress. Bella Hadid wore a dress by Gareth Pugh x Chrome Hearts with a gold cross necklace. Cole Sprouse with Lili Reinhart who is wearing and H & M dress with Featherstone platinum and gemset earrings and Djula diamond rings. Katie Lee looked angelic in vintage Fred Leighton jewels and a white gown. Emily Ratajkowski paired Messika diamond jewels with her gold Marc Jacobs gold dress. Katherine Langford put on vintage jewels including pieces from Fred Leighton with her red Prada gown. Jasmine Sanders wore Bulgari diamond and gold jewels with her H & M gown. Gabrielle Union wore a Prabal Gurung dress with diamond Tasaki jewels. 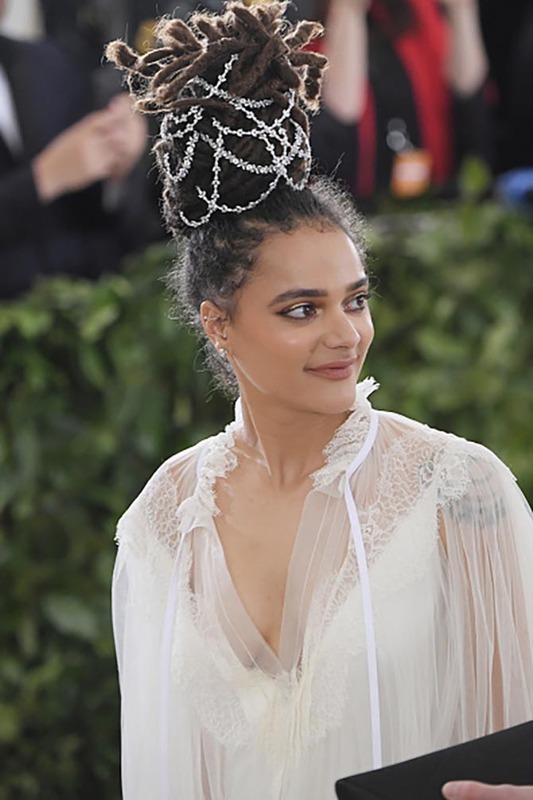 Sasha Lane stood out on the red carpet in a Tory Burch white gown and costume diamante diamond necklaces in her updo. 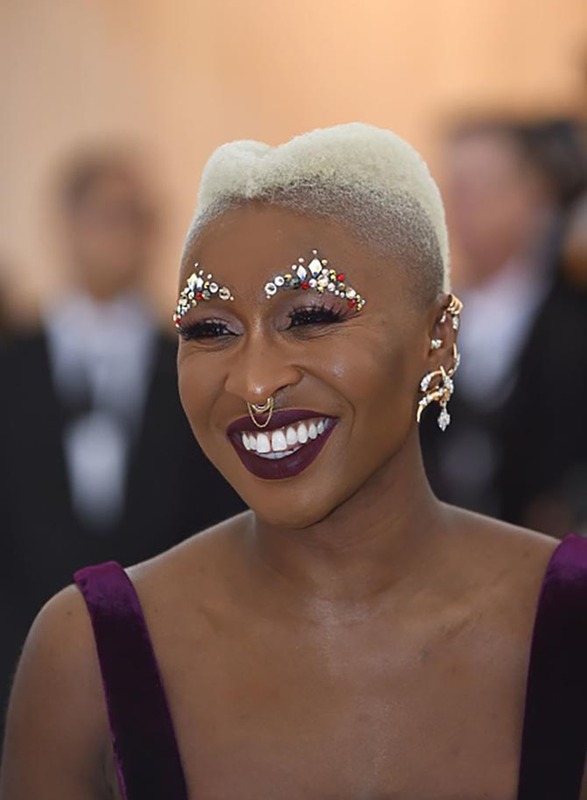 Cynthia Erivo sparkled plenty with a bejeweled brown and layered pieces from designers including Yeprem. 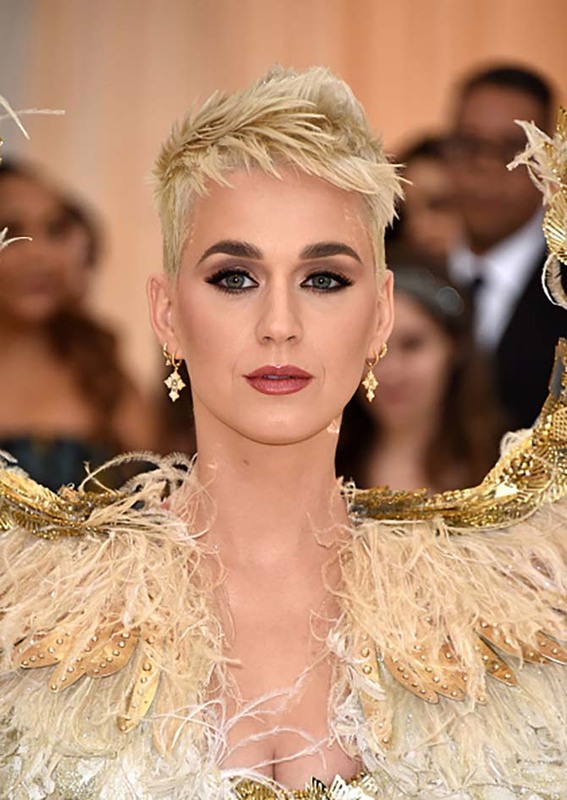 Katy Perry wore delicate earrings with her 6 foot high wings and Versace dress. 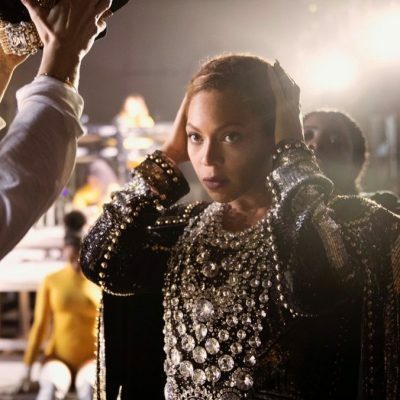 What’s Hot Now: Cameos…Yes, Cameos!